Phil Roberts has a goal: to document surf history through art. Roberts, of Huntington Beach, is one of the most influential surf artists around. His works fetch tens of thousands for the realistic depictions of surfing’s past. 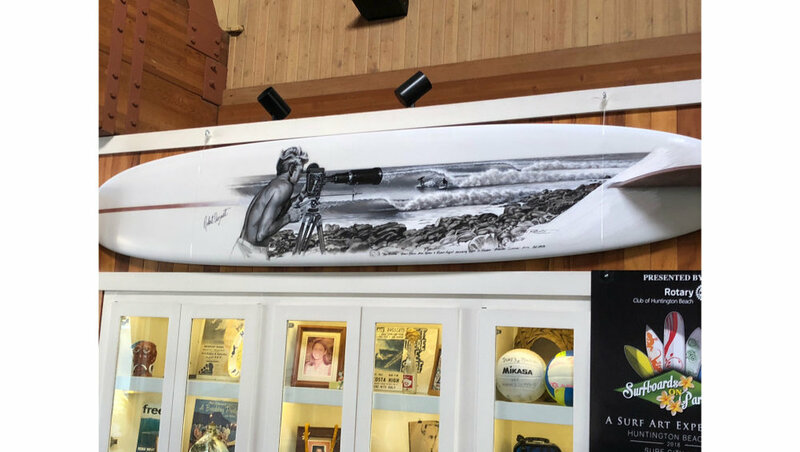 If this surfboard does fetches upward of $20,000, it wouldn’t be the first artwork Roberts has created that has caused such a buzz.